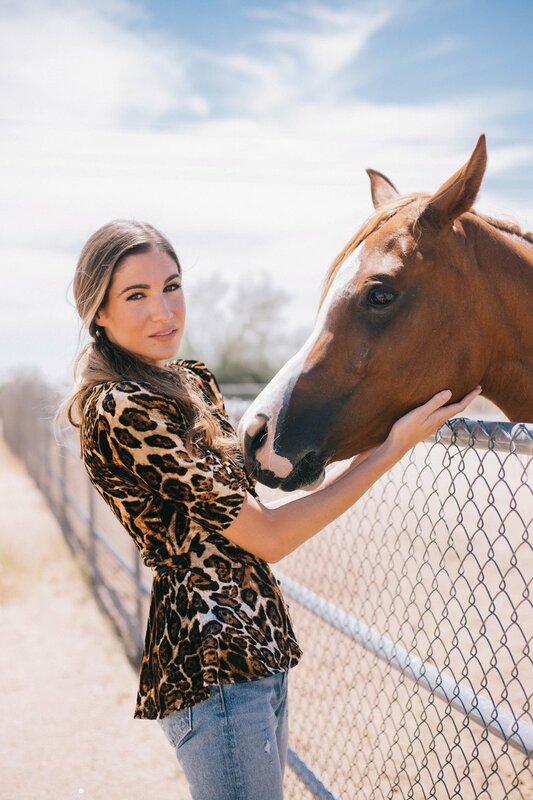 From wealth management broker to a successful fashion and lifestyle blogger, Venessa Kaufman saw the need for pursuing fashion with a heart. With a role in motherhood grounding her and giving insight into the struggles that women face trying to find their individuality in both their family and a career, Venessa has become an authentic voice delivering refined fashion choices for women looking to define their unique style and bring confidence back into their lives. Striving to highlight how women can be both brainy and beautiful, she lends a heartfelt and independent voice to her readers. Both edgy and elegant, sincere and upfront — Venessa tells it like it is in both fashion and life. One of my all-time favorite things to do is to go down the rabbit hole of browsing for new items to try! Who's with me?! Well, search no more! I'm sharing my currently coveted items with you and they are a collection of pieces you don't want to pass up! Have you always wondered where that top came from? Or that chic skirt? Well, now you don't have to wonder as I am sharing where you can shop all of my daily outfits and more! Enjoy Arizona like a local! All of my favorite Gluten Free friendly restaurants, things to do with kids, and Instagrammable spots!